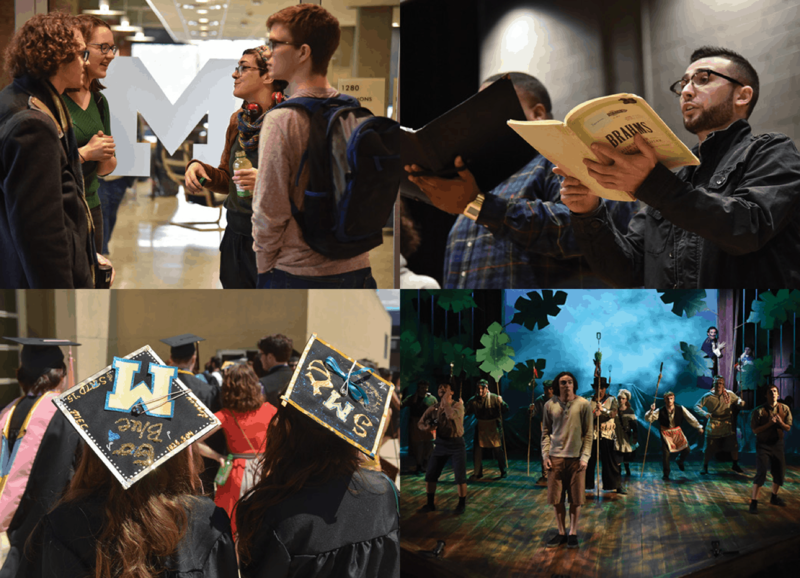 Designed for students seeking the highest degree in the field, the DMA is a rigorous three-year course of study culminating in three recitals and a scholarly essay in lieu of a dissertation. The doctoral degree is awarded on the basis of demonstrated competence, not on the basis of a specified number of credit hours. Completion of the program normally requires six terms of full-time study beyond the master’s degree. Students are expected to attain candidacy effective at the beginning of the sixth term. Each DMA student is required to complete no fewer than 15 hours of graduate course work in musicology and music theory or at least five courses totaling a minimum of 12 hours. Musicology 503, Bibliography of Music (3 hrs) should be elected during the first term of enrollment as a pre-candidate. At least one musicology course at the 600-level must be elected by all doctoral students. At least one academic year of full-time residence is required. A basic reading knowledge of one foreign language (French, German, Italian or, Spanish). Every doctoral student in the School of Music, Theatre & Dance must satisfy the pedagogy requirement during the first two terms of enrollment. 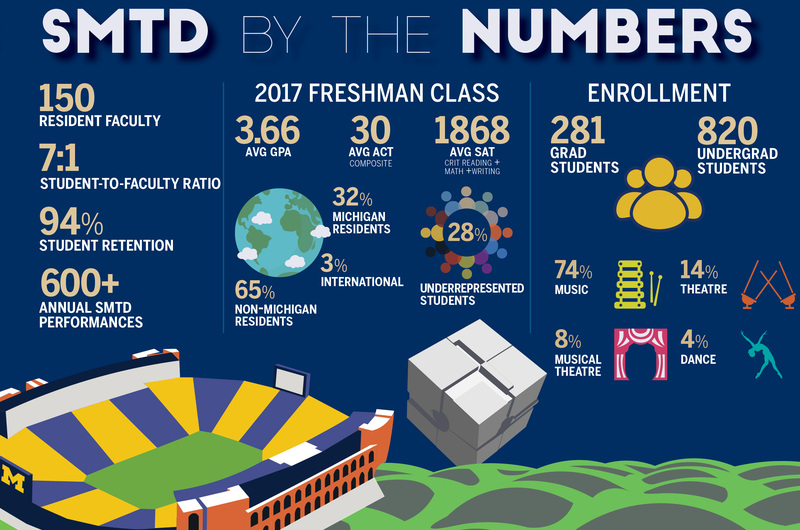 A list of courses that satisfy this requirement may be found in the Handbook for Rackham Students in Music, Dance, or Theatre. Sacred music classes include additional requirements in hymn-playing, accompaniment and improvisation. Repertoire should include works by American composers, women composers, living composers and composers outside the European tradition, as well as works for organ and other instruments or voice. Substitutions may be made in any category with the approval of the faculty. Works performed for juries and the degree recital are to be memorized, with the exception of ensemble works and works in challenging contemporary idioms. Substitutions may be made in any category with the approval of the advisor. At least two courses in musicology, including MHM 503, must be completed prior to taking the preliminary examination in that field. At least two courses in music theory must be completed prior to taking the preliminary examination in theory. The performance preliminary examination will consist of a memorized public recital of major organ works, in which the applicant must satisfy a jury that he or she has achieved the requisite musical competence to undertake the public programs to be presented in lieu of a written dissertation. As preparation for this examination, the applicant must present evidence that memorized public performances of organ works equivalent to one recital (normally completed for the bachelor’s degree), including an approved number of major works, has been performed, and that most of the repertoire requirements have been completed. The preliminary examination in performance may not be taken until the residence, language, and pedagogy requirements and other preliminary examinations have been successfully completed. Candidacy will be conferred upon completion of these requirements and examinations. A dissertation committee must have been appointed by the time candidacy is achieved. An additional memorized organ recital is presented prior to achieving candidacy as the performance preliminary examination. The three dissertation recitals will be given after achieving candidacy. A scholarly essay of approximately 5,000 words on the music performed or a research paper of comparable length dealing with a particular aspect of organ literature will be required. The document must be submitted to the dissertation committee prior to the performance of the second of the three dissertation recitals. An abstract listing the music performed for the dissertation recitals and, if space permits, providing program notes and commentary is also required. A final oral examination concerned primarily with the field of specialization will be conducted by the dissertation committee after all of the other requirements have been completed. 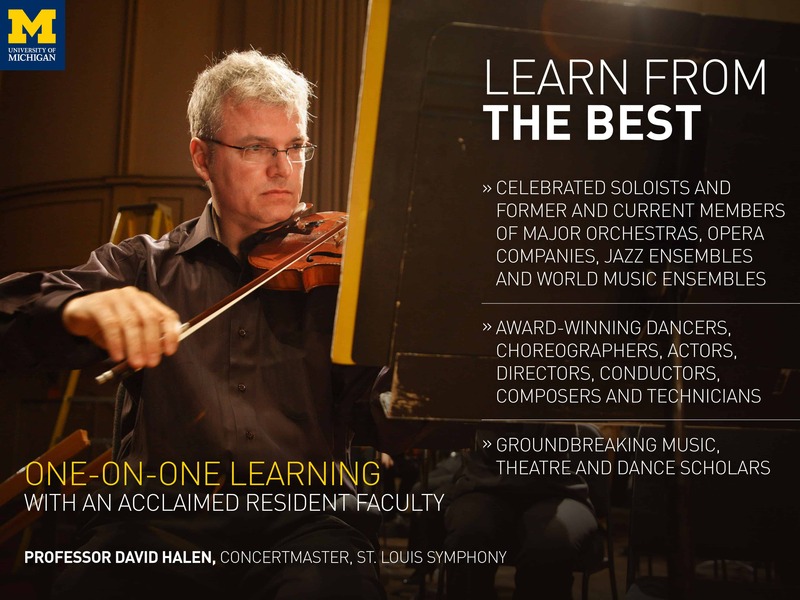 Nearly all DMA students receive full-tuition fellowships. Most also receive health benefits and a stipend attached to a Graduate Student Assistantship, which can vary in proportion to the appointment fraction and the duties associated with it. 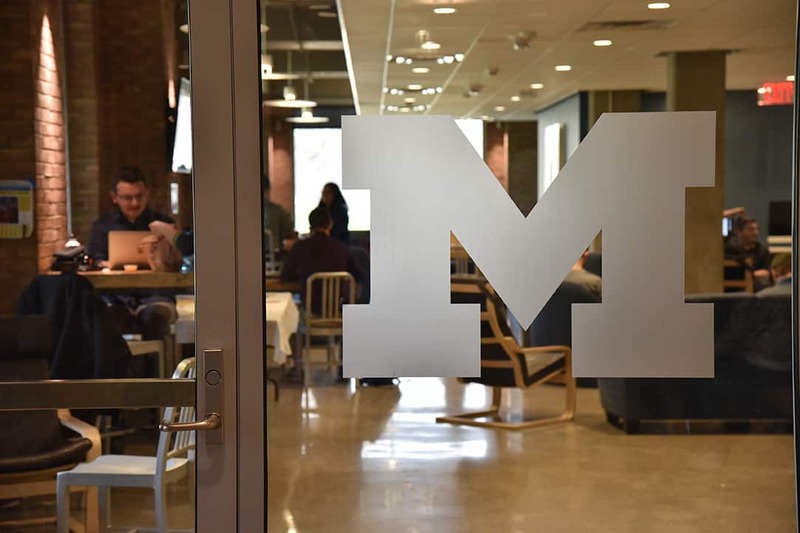 In addition to the funding packages offered by the SMTD, Rackham students are also eligible to apply for a wide range of fellowships to fund research, travel, and performance. Applicants to the Doctor of Musical Arts in Performance: Organ must have completed a master’s of music degree or equivalent to be eligible for admission. Note: prior coursework needs to include…?